Part I was actually my previous post, the Petit Louvre. 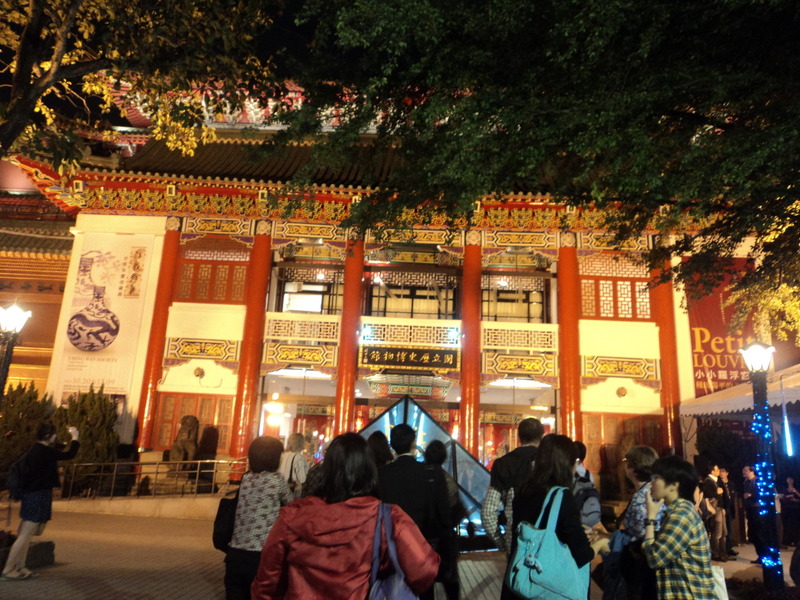 As I said, we got to visit the museum at night, which is a very rare opportunity. Unfortunately, we only had until 9 p.m. to walk through everything. From the Petit Louvre, we go on to the more traditional aspect of the National Museum of History. 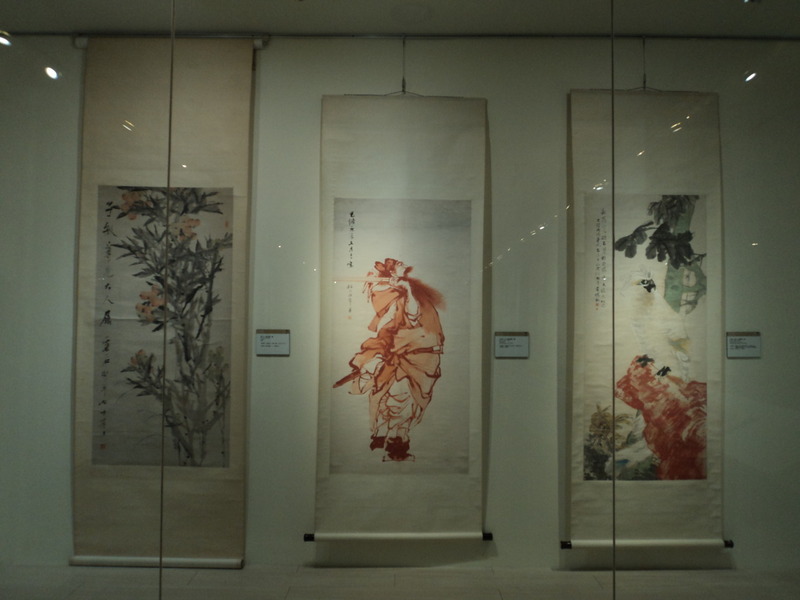 My favorite part of their exhibition are the scrolls. I really wish I had more time to take it all in. I even bought a book of modern brush painting from the museum shop. I would review that here when I get the time. As expected, the lighting was low. 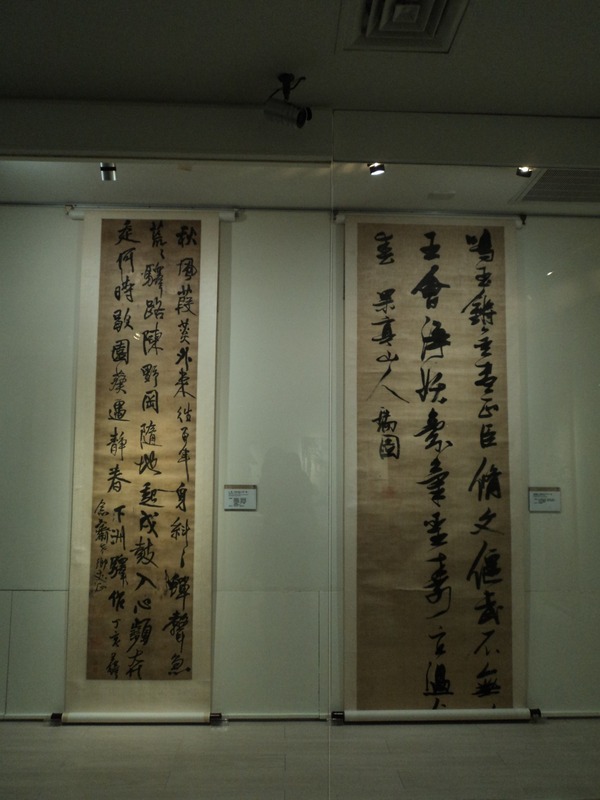 People usually assume that scrolls and brush paintings are old. 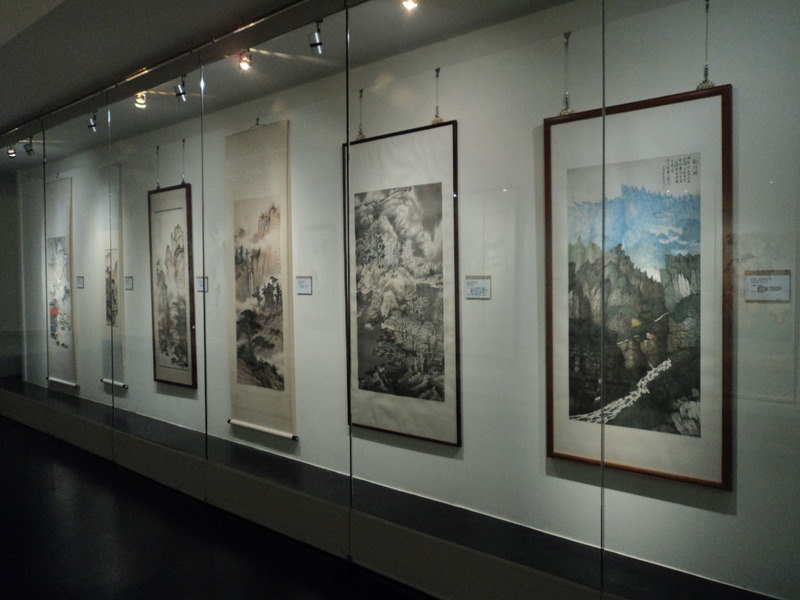 The National Museum of History subverts that expectation as part of their collection are modern scrolls and brush paintings. I can only guess at what they mean. Some are translated, but a lot are not. It doesn’t make this scroll any less beautiful though. With the time crunch, we really didn’t have much time to savor the viewing of each artifact. But there is something quite magnificent about museums at night. You are there for the experience more than anything else. 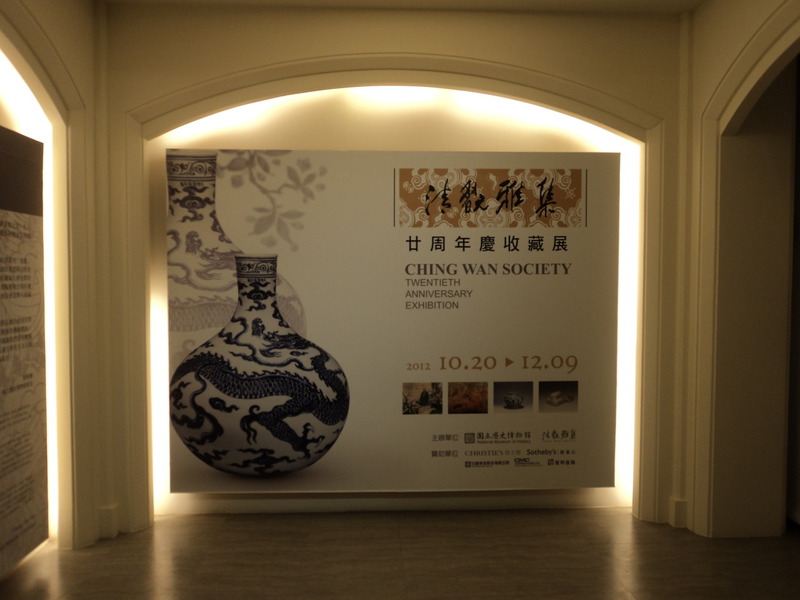 We were also lucky enough to see some works that are normally inaccessible to the public. 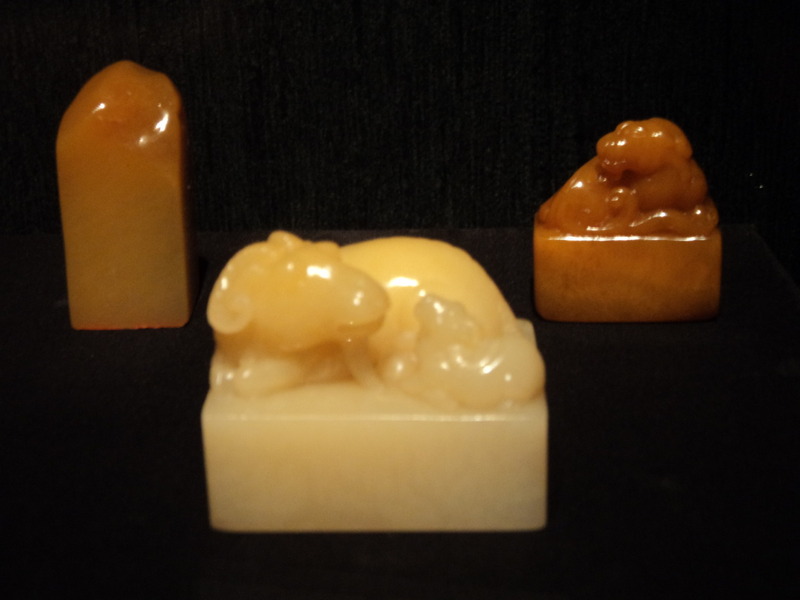 This collection is only there to celebrate its 20th anniversary. 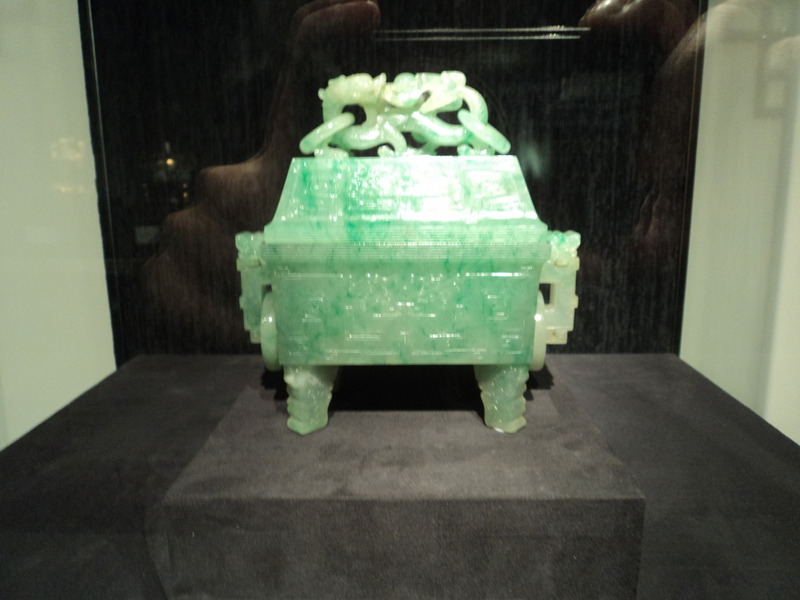 The details found in the jades and other stones are extraordinary. The more you experience these things, the wider you are aware of your knowledge gap. I wish to know more, but with the reality that you cannot know all. Maybe little by little, in time. 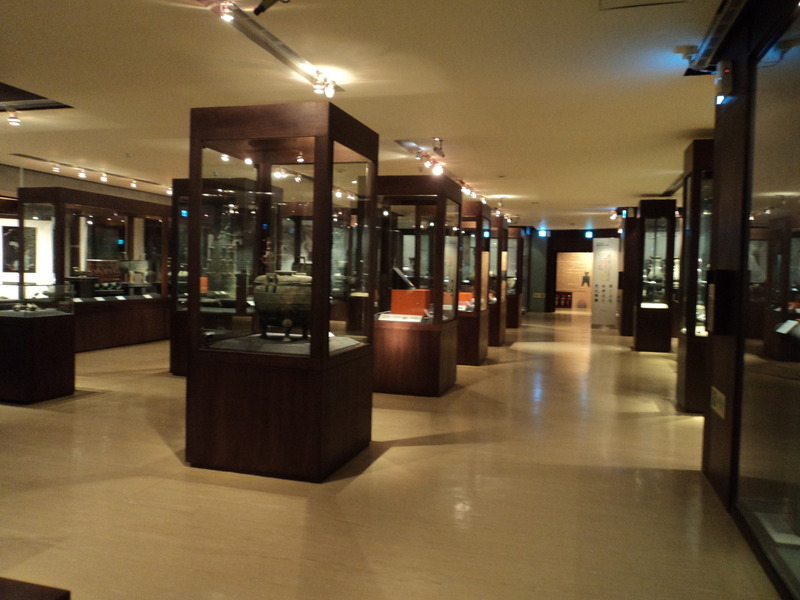 This entry was posted on January 25, 2013 by Portia Placino in Museum and Galleries, Travel Writing and tagged art, Museum, Museum 2012, National Museum of History, Taipei, Travel, Visual arts.